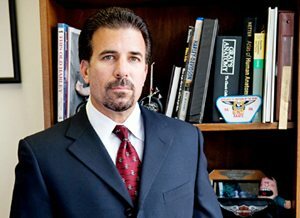 Lee Gaber, Pennsylvania’s premier motorcycle accident lawyer, has been handling Motorcycle accident cases throughout Pennsylvania since 1991. Although many of my clients have never been involved in an accident and may never have given motorcycle lawyers a second thought, I can assure you that after one consultation, virtually every client has told me how much more at ease they felt, especially knowing that they did not have to deal with the insurance companies on their own. Call 888-292-5352 for specific questions about your situation. Q. Should I try to work with the insurance company first and see if they treat me fairly before I hire a motorcycle accident attorney for a Pennsylvania motorcycle accident claim? A. NO! Based on years of dealing with insurance companies I can tell you this without hesitation. All motorcycle lawyers will tell you that not only will insurance companies NOT treat you fairly, they will be busy gathering evidence to allow them to pay you as little as possible for your claim. They will insist that you sign medical authorizations, give statements and provide documentation that could seriously damage your injury suit later when you have no choice but to hire an lawyer. Q. How Will Hiring a Motorcycle Lawyer Help Me? An experienced motorcycle lawyer can help you in countless ways, but primarily because we know the ‘tactics’ that insurance companies employ when you make a claim. Insurance companies are corporations, with their bottom line in the forefront of their actions. Therefore they will try to pay you as little as possible for your claim. Motorcycle lawyers are also usually incorporated, but the difference is the lawyer represents your interests because their interests align with yours – getting the highest settlement amount. Interestingly, by hiring a top motorcycle accident attorney you can provide incentive for the insurance company to offer a settlement. Going up against a good attorney and risking a more expensive trial and a larger award of motorcycle accident damages via a jury verdict is not what any insurance company wants. Call me at 888-292-5352 to learn more reasons why hiring a motorcycle lawyer is imperative. Q. My accident caused me to lay the bike down and break my leg. I was hospitalized for three days for surgery. I have health insurance, but no disability to pay my lost wages. What should I do, and can a motorcycle injury lawyer help me now? A. This question is probably one that I get asked at least 50 times a year. The simple answer is don’t do anything, other than call me at 888-292-5352. Once we go through all of the facts, I will leave you with a concise set of instructions which will allow you to get your motorcycle fixed, your medical bills paid, your wages compensated and begin the process of getting you compensated for all of your injuries. The call only takes about 15-20 minutes and the information you will receive is not only free, but is invaluable! Q. My accident required surgery. The vehicle that hit me has insurance but refuses to pay me for the 6 weeks that I have to stay off work. Should I hire a Pennsylvania motorcycle attorney to recover lost wages? A. Unfortunately, most insurance policies don’t have any type of wage loss coverage and therefore the only way to recover for lost wages is to make it a part of your claim at the time of settlement or make it a part of a lawsuit. Pennsylvania motorcycle lawyers can still help, give me a call at 888-cycle-law. Q. After my accident, it took me three days to locate my bike. Luckily, I listened to my agent and had purchased collision coverage. I would like to begin work on my bike as soon as possible. What is the quickest way to get that accomplished? A. The quickest and easiest way is to call your own insurance company, however, DO NOT under any circumstance allow them to take a recorded statement about the accident, how it happened or your injuries. The choice to record or not is always yours. They know if they record the conversation without your permission they can be prosecuted. Simply tell them what happened and where the motorcycle is. This will force them to send out an appraiser as soon as possible to estimate the motorcycle damage sustained and begin to authorize the repair. Q. My bike is fixed, but I’m having a rough time. Can I hire a motorcycle lawyer for a pain and suffering award to help me? A. In this situation if you’re bike has been repaired, but you haven’t been… we can make a claim for your damages, depending on the severity and ultimately we will collect an award on your behalf. As long as the other party was at fault, you are entitled to recover Damages. Motorcycle Crash Lawyers Are Your Friends! Q. My friends are urging me to call a motorcycle injury attorney to file a lawsuit. I am 63 years old and have never dealt with a lawyer before. I am concerned that if I get involved with motorcycle crash lawyers it will drag out and delay my claim. The other party admitted fault, but given the severity of my injuries, I am afraid to move forward on my own. What should I do? A. Most of my clients have never hired lawyers before and some feel it necessary to actually apologize for calling me to help them. However, usually after just 1 phone call, most of my clients are so relieved to have made the call to my office, they forget that they ever had any hesitation. Normally I explain that just because they have retained an lawyer to help guide them through this process, this does not mean we will be filing a lawsuit. Generally, probably less than 10% of our clients claims end up in litigation. Most of the time we are able to reach an amicable settlement without ever having to file a lawsuit. However, on those rare occasions when litigation becomes necessary, we can usually force the case along as quickly as possible in order to resolve the matter without unnecessary delay. In most courts throughout PA, those horror stories about 5-6 years of litigation have disappeared. Have a question? Email Pennsylvania motorcycle crash attorney Lee Gaber or call me toll free at 888-292-5352 (888-cycle-law) 24 hours a day, seven days a week.